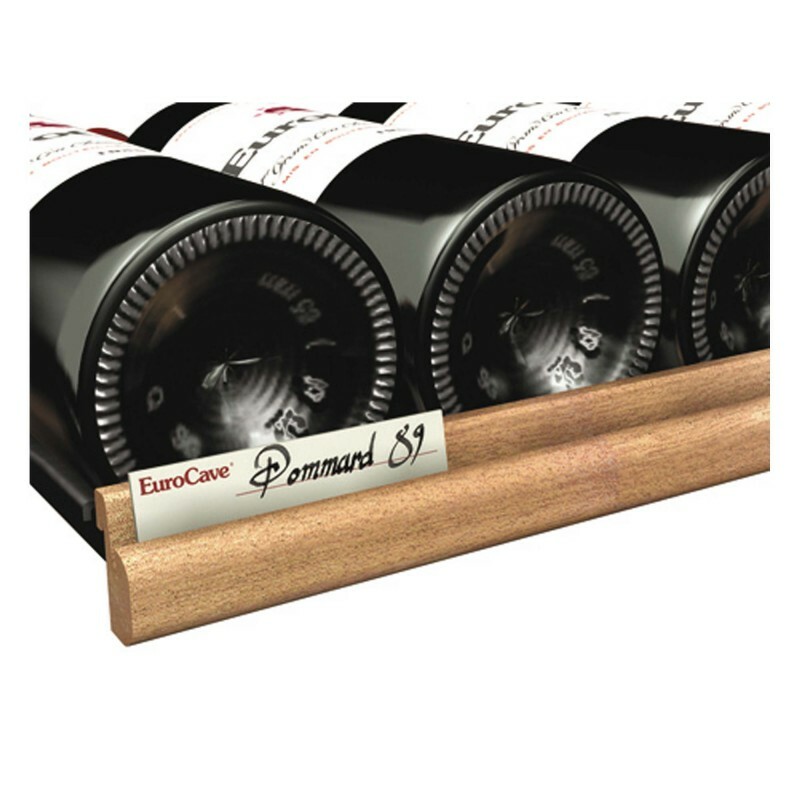 This sliding tasting rack allows you to not only store open bottles upright but also display your bottles in an attractive and practical way. 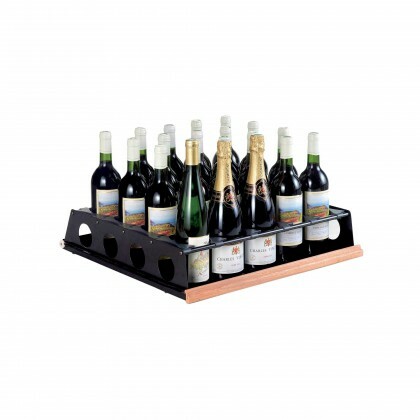 The shelf design is based on a sliding tray equipped with aluminium tubes which separate the bottles. On these tubes, are fixed plastic separators which prevent the bottles from touching each other. These separators are detachable and slide along: this allows you to adjust them according to the size of the bottle so that the bottle is securely held in place. The shelf is equipped with a sapele label holder. It is possible to display up to 20 bottles. To insert Champagne bottles, it is necessary to remove the 2 bottle wedges at each end.